The LAII is pleased to announce it is collaborating on the "Teaching Central America" initiative alongside Teaching for Change, a nonprofit organization based in Washington, DC, that seeks to provide teachers and parents with the tools to create schools where students learn to read, write and change the world. By drawing direct connections to real world issues, Teaching for Change encourages teachers and students to question and re-think the world inside and outside their classrooms, build a more equitable, multicultural society, and become active global citizens. The Teaching Central America initiative draws attention to how more than four million Central Americans reside in the United States today, yet the lack of resources in most schools on Central American heritage make the rich history and literature of the region invisible. Central America is too-often portrayed as simply a strip of land on a map connecting North and South America. Students are left to imagine that their Central American heritage, or that of their peers, is insignificant. Teachers have learned little of the history themselves and there is a scarcity of literature in the school libraries. Teaching Central America helps to fill that gap with resources for teaching about Central America. The goal is to encourage and support teaching about Central America in K-12 schools so that students can learn about this region, which has many ties to the United States through foreign policy, immigration, commerce, and culture. 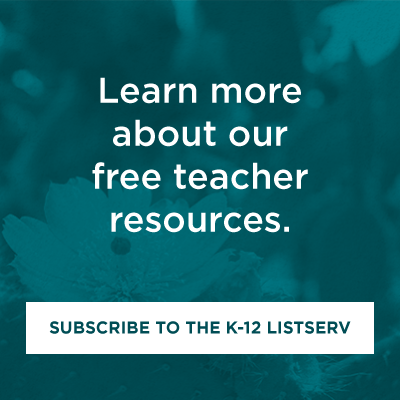 The result is a rich web portal of collected lessons, book lists, biographies of noted historical figures, and readings for free use by classroom teachers. A particularly important resource are reprinted, open access examples of poetry and prose from Central American writers such as Roque Dalton, Rigoberta Menchú, Claribel Alegría, and Ernesto Cardenal. These authors used literature to shine a light on key issues such as: the need for land reform, recognition of indigenous and women’s rights, exploitative labor practices, environmental destruction, political repression and violence, and US intervention.